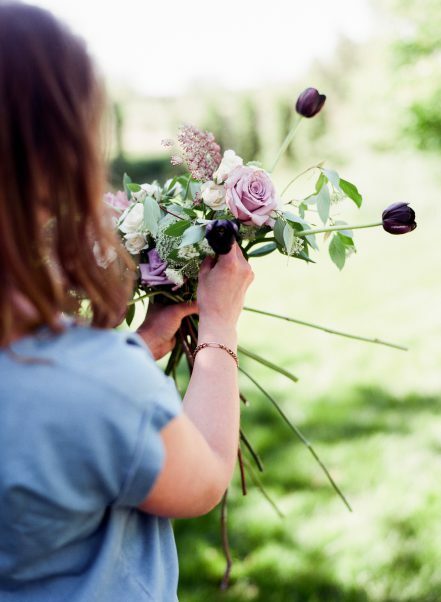 Oak & Lily offers a number of private workshop options for those who are interested in learning more about flowers! Grab a group of friends, family or colleagues for a group workshop and create beautiful floral masterpieces, or spend some time with one of our designers, one-on-one, learning tips and tricks of the trade. We can accommodate groups of up to 12 people at the shop or at your venue. Other venues can be arranged for larger groups. We also offer options for individuals and small groups of 2-5 people. We can build a workshop to suit the interests of you and your group. Types of projects to choose from include, hand tied bouquets, flower crowns, wreaths, and vase arrangements. Let us know if there’s something else you would like to try! Pricing is based on the project and size of your group and includes everything you need. We can also take care of all the details including venue and food services through our event planning services. General pricing is listed below. Please contact us for an estimate on pricing for you or your group by filing out the form below. Typical group workshops are 1.5-2 hours and vary depending on the size of group and the project. Contact us to get more information and book a private workshop! What date/s are you interested in? Where would you like to have your workshop? What is the main reason you are interested in a workshop?